FSX/P3D – Groundhandling V 6.0. 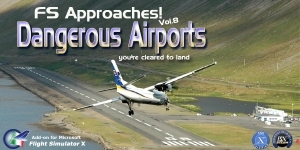 This archive contains version 6.0 of my “groundhandling” gauges, originally created for FS9: automated pushback with conversation sounds, Taxispeed control and more. New in V6.0: – Works with FSX (all versions), P3Dv2/3 AND P3Dv4 (bit64). – Two Pushback versions: the original version (with preset turnangles and scenery pushback truck interaction), and a free-control version that allows you to control pushback heading with rudder input. – A revised Taxispeed gauge; works much more accurate, for any aircraft. – Tow operation, with all engines Off. Easy to install, and fully documented. Requires the Microsoft “Visual C++ 2015 Redistributable” to be installed.